There are several things that are synonymous with Easter: Mr. Easter Bunny, colorful eggs, and strands of that fake plastic grass strewn throughout your home. But thanks to Plum Party’s grow your own grass kit, you can forget about purchasing that un-recyclable, plastic, faux greenery by growing your own all-natural, eco-friendly grass that Mr. Easter Bunny could actually eat. When you grow your own grass, you’ll end up with a basketful of beautiful, green blades of grass in as little as 24-36 hours. Each kit comes with enough supplies to grow two medium-sized baskets full of the lush greenery. I think colorful eggs and goodies just look sweeter resting on a fresh bed of green. Wouldn’t this be the perfect new Easter time tradition to start with your children? There are several things that are synonymous with Easter: Mr. Easter Bunny, colorful eggs, and strands of that fake plastic grass strewn throughout your home. 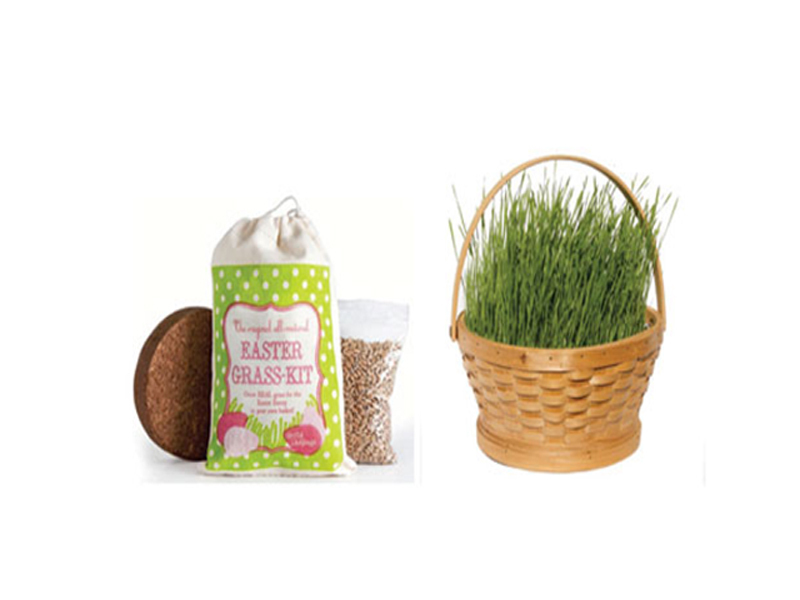 But thanks to Plum Party's grow your own�grass kit, you can forget about purchasing that un-recyclable, plastic, faux greenery by growing your own all-natural, eco-friendly grass that Mr. Easter Bunny could actually eat. When you grow your own grass, you'll end up with a basketful of beautiful, green blades of grass in as little as 24-36 hours. Each kit comes with enough supplies to grow two medium-sized baskets full of the lush greenery. I think colorful eggs and goodies just look sweeter resting on a fresh bed of green. Wouldn't this be the perfect new Easter time tradition to start with your children?